It was the first day of last week’s cold-snap when I decided to drive over to ARC’s Value Village store in New Hope after work. I didn’t really know what to expect, except honestly, not a whole lot. I’d been underwhelmed when I last visited the store (four years ago, at least). Couple that with the fact that I’m a Richfield location die-hard, I was prepared to be unimpressed. However, after hearing about the store’s expansion and re-opening early last month, I figured it was time to give this shop another shot. And I am so glad I did! 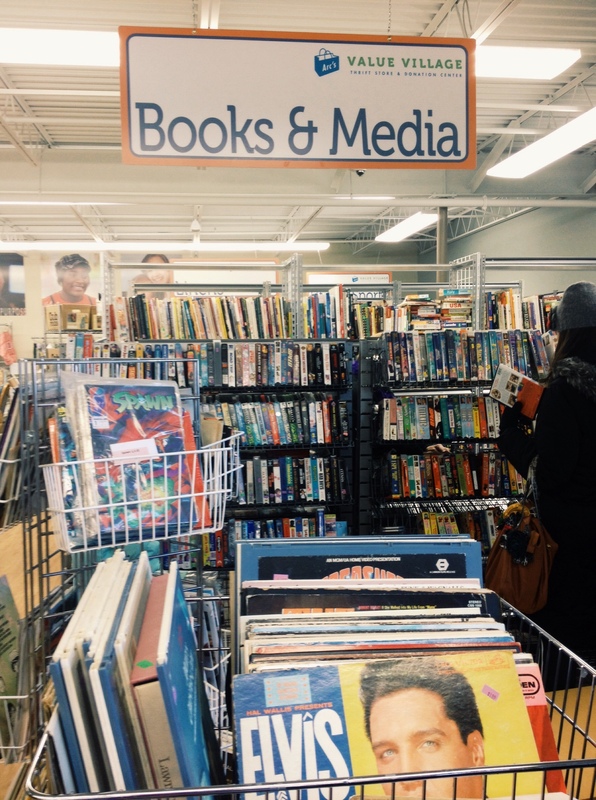 Here’s the scoop: After 20 years in the same location, ARC’s store leadership decided to stay at their existing location and grow the store there, keeping the community of shoppers, donors and volunteers very happy. 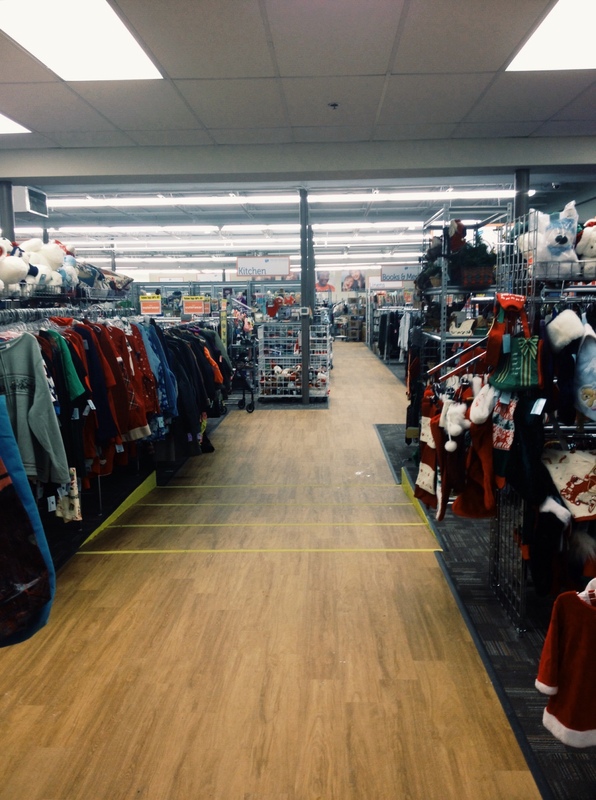 The subsequent growth is HUGE, expanding the store from 8,000 to 17,500 square feet. Every single department grew (doubling or in some cases, tripling in size! ), and to make shopping even more enjoyable, aisles were widened, additional checkout lanes and fitting rooms were built, bigger carts made available and lighting improved. 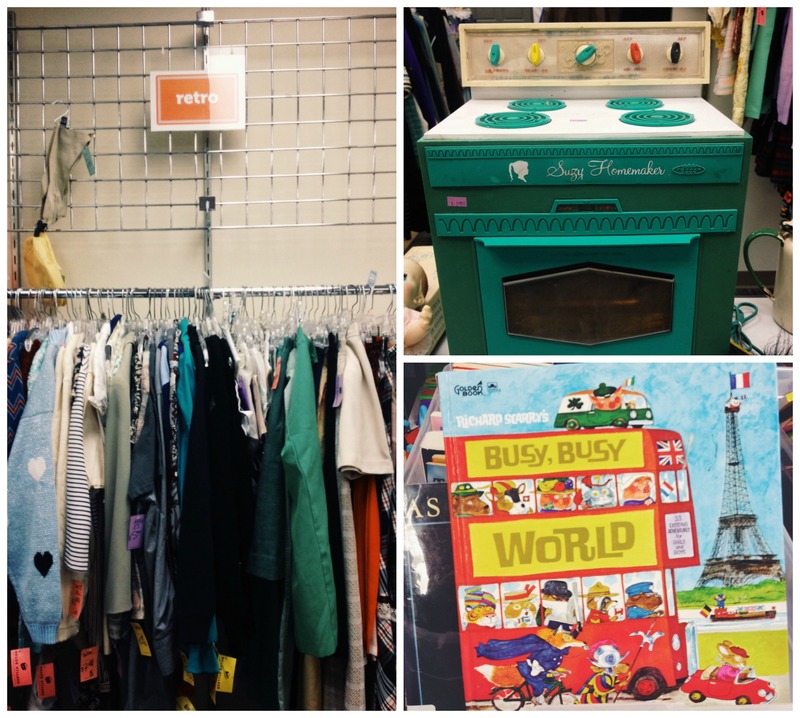 There’s even a donation drive-thru at the back of the building and room for a Merry Thriftmas boutique (two of my favorite features at the Richfield location). Walking in, I truly felt like I was entering a brand-new store! Right off the bat, I was majorly impressed with how organized the departments are. In the book section, for example, all the non-fiction is organized by topic. I love buying books second-hand, but sometimes can’t commit to combing shelf after shelf after shelf, so being able to hone in on whatever section I’m interested in (typically cookbooks, travel and auto-biographies) is a big plus. I went home with Secret Ingredients: The New Yorker Book of Food and Drink and this fun travel book on Minnesota, both in mint condition! 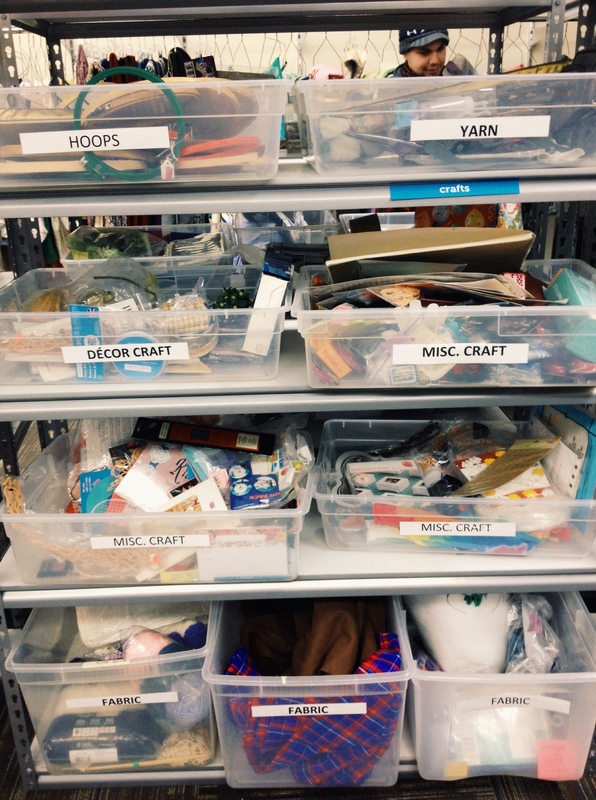 Over in the crafts area, instead of everything in a jumble, things are separated by category in bins. So helpful for people like me who thrift for project or craft supplies on the regular! Also impressive was the selection of framed art. 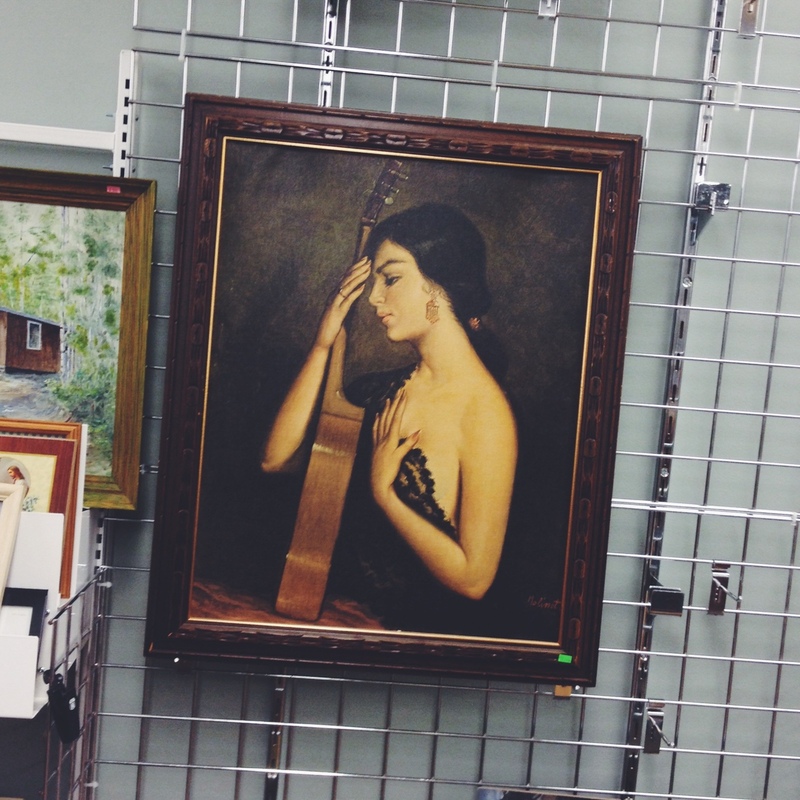 It pains me when thrifts pack art tightly together on shelves, as it’s hard on the frames, but also so annoying to shop. I loved how there were a lot of pretty pieces hanging up, which makes it so much easier to appreciate. This beauty was so tempting! 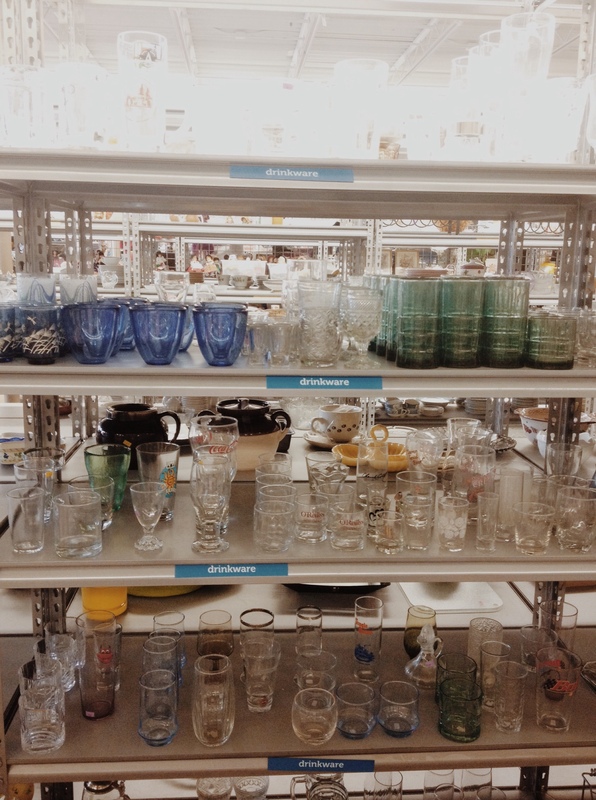 The housewares section was spacious, but the selection was pretty slim at the time of my visit. I was looking for containers for candle-making, and I did find a couple, along with a cute little vase. Also worth noting is the retro section, comprising a few racks of clothing and some shelves of toys, books, knick-knacks and housewares. The clothes were really picked over and some really iffy in quality, but still, nice to have it separated out, right? And how adorable is this teal Suzy Homemaker play-oven? Breezing through the clothes, I appreciated the fact they were organized by size. Just another example of how this store is set up with shoppers in mind! The shoe section was big, with lots of options for men, women and children. All in all, I’m super excited to add this store to my regular shopping route, especially considering how close it is to my work. Check it out at 2751 Winnetka Avenue North in New Hope. Like the three other Value Village stores in town, this store is open seven days a week from 9 a.m. to 9 p.m. Monday through Friday and 9 a.m. to 7 p.m. Saturday and Sunday. 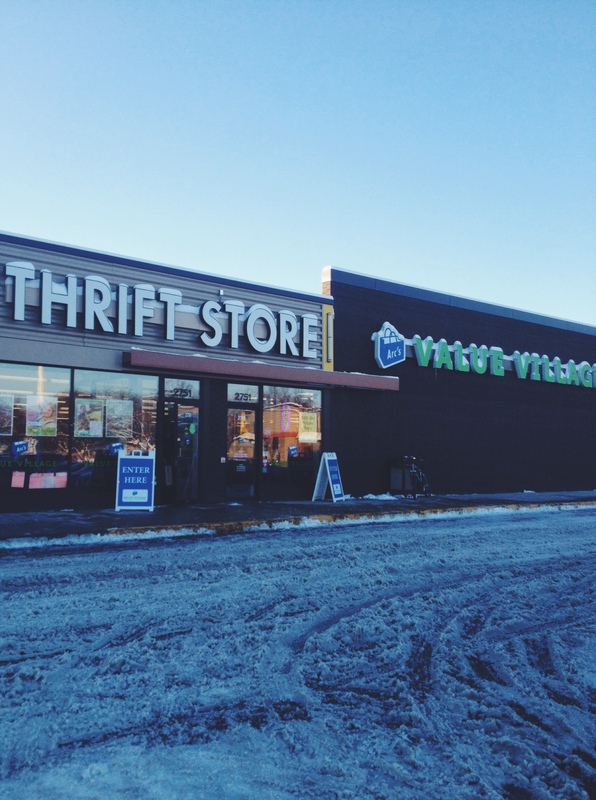 This entry was posted in Store Reviews and tagged first impression, Minneapolis thrifting, new hope, thrift-store shopping, thrifting by highplainsthrifter. Bookmark the permalink. Looks very promising for any ugly sweater parties coming up. ;) Looks like a stop to make while thrifting! They had quite the ugly sweater stash, that’s for sure! Hi! I ran across your blog while doing a google search and since you are such a great thrifter I was wondering if you are familiar with an online “thrift” store called thredUP? Let me tell you just a little about them. If you do give it a try please let me know how you made out. Hey Maddie, thanks for reading and the kind words. I’m not familiar with thredUP but will give it a looksie. It sounds fab. Thanks for the tip! Thanks and have fun looking!